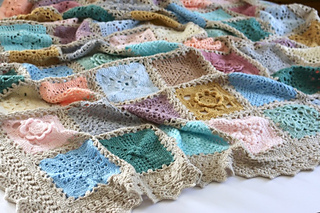 A guide to constructing a blanket from a range of crochet squares. 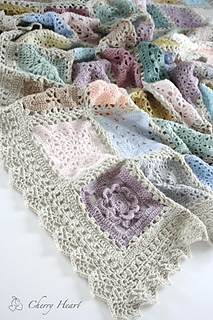 The pattern will show you how to join the squares and how to add a border. 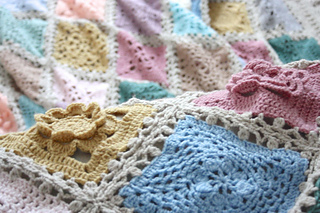 Basic and intermediate stitches used and photo tutorials are linked. 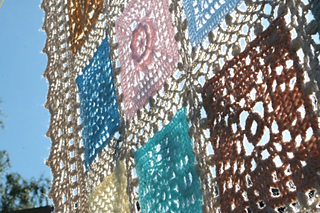 However, some time is needed to decide on stitch placement. Experience of Join As You Go may be useful. 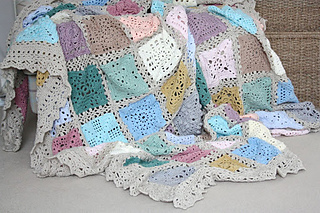 *Note this colour is from the Stylecraft Special Baby DK range and is often listed separately by retailers. 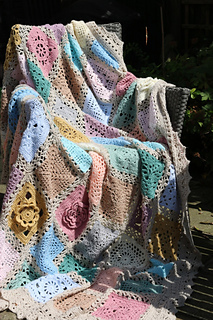 Not included: Blanket square patterns.